Dampers are plates or valves, used for regulating or stopping airflow inside a duct system, or any other equipment that handles air. Zone dampers on the other hand are specifically used in HVAC systems. For getting the maximum efficiency out of HVAC systems in homes, the airflow has to be diverted to specific areas or zones, in order to suit preferred comfort levels, and maximizing economical use of energy. For instance, in a home, using a heating system, zone dampers will help divert the hot air to the main living area during daytime, and shut it off in the bedrooms. Later, at night, this process can be reversed. This will provide the expected level of comfort, and save a lot on power bills. Zone dampers are mainly classified into motorized and manual, and by the functions, they perform. Here are some of the types of HVAC zone dampers. Motorized and Electric Dampers: Motorized zone dampers are the main components of a house ventilation system, as they provide control over stopping and regulating the flow of air to specific areas. Homeowners can either regulate or cut off airflow to particular rooms, by which they can elevate comfort levels, and use power most efficiently. Electric dampers also provide the same function, and can be set to close or open according to preferred comfort levels. Vent Dampers: These dampers provide efficient control in a duct system where vents are used. They have flaps that can close and open, thus helping in trapping or releasing air. For instance in a heating system, the vent damper can close to trap a determined amount of air, and release it when required, without having the need to switch on the main heating unit. Backdraft Dampers: These types of zone dampers are not powered, and work by the power of gravity. They are mainly used for allowing the contaminated airflow to leave the house, and prevent the same air from entering back in. 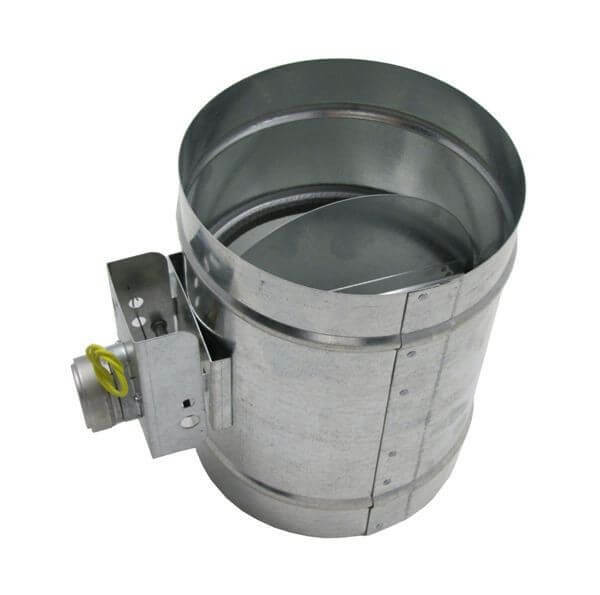 Pressure Relief Dampers: The main job of these dampers is to release the built-up moisture or heat in a ventilation system. The setting on the damper can be adjusted to release air, when certain pressure level is reached. The choice of zone dampers will mainly depend on the type of ventilation or duct system you have in your home. However, any type of zone damper will mainly help in regulating the airflow, and save you a lot on power bills. Famco offers special contractor pricing, or simply create an account today and receive a 10% discount code for your next purchase.